@Tyler643, your dad got his balls fondled 12 years before. The first things you need to do if you win the lottery is change your phone number and contact a lawyer. Immediately. Women’s logic. In short terms.. fûck the sexist/divisive metoo movement. Halsy ford? Is that you? 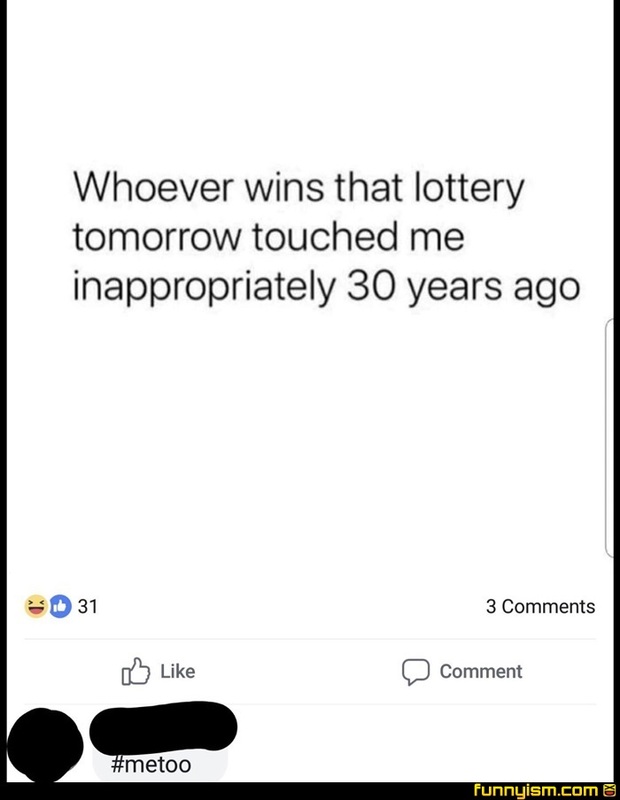 What if you get touched inappropriately but enjoyed it?